I'm so excited to press Publish on this blog post I could squeal! 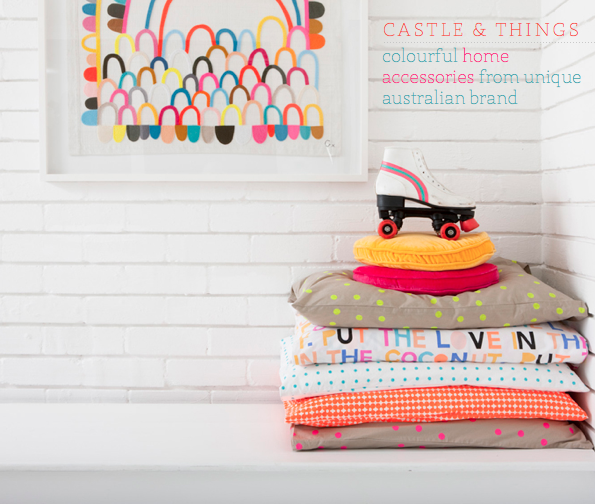 Sometimes I happen upon a brand that just resonates so well with my aesthetic; the graphic and colourful simplicity of Castle's home accessories is one such example. 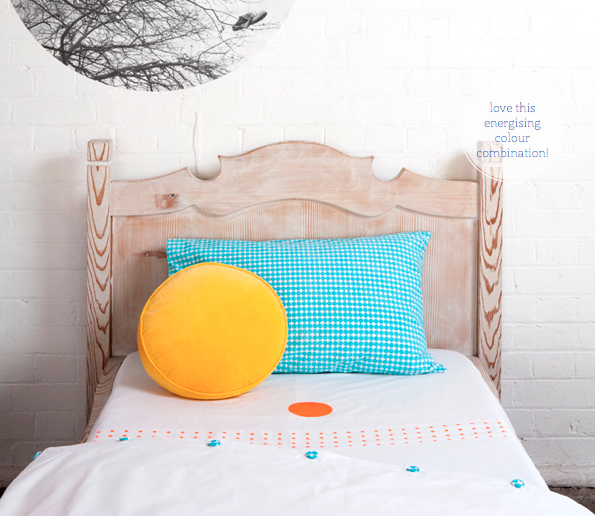 Founded in 2008 by Rachel Castle, the brand began by offering a capsule range of bedlinen originally made for friends and family. Castle soon garnered commercial interest (rightly so!) 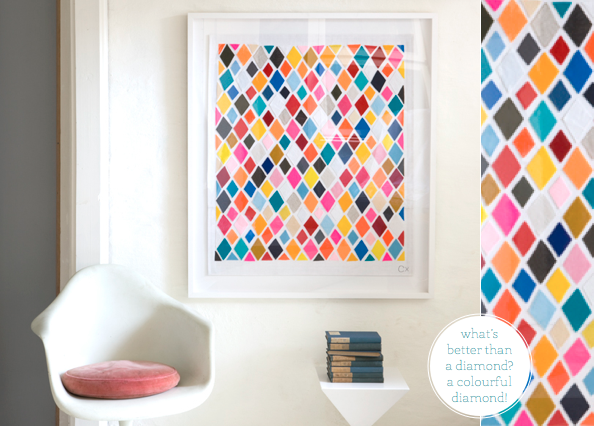 and now offers a range of colourful and often handcrafted and printed pieces for the home. As I clicked madly through the products on Rachel's site, I kept recognising UK props and products used to style her lifestyle images. All become clear when I discovered that she used to live over here in the UK working for The Conran Shop! I recognised the artworks as there is one hanging above the bed in Mr Jason Grant's Sydney home - I'm so pleased to discover the origin! 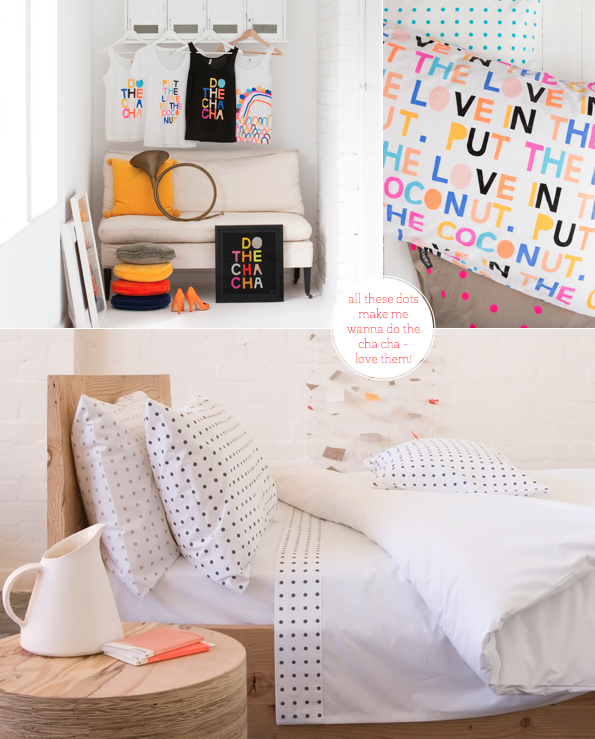 Personally I'm crushing on the 'do the cha cha' artwork and the spotty bedlinen. How about you, folks? 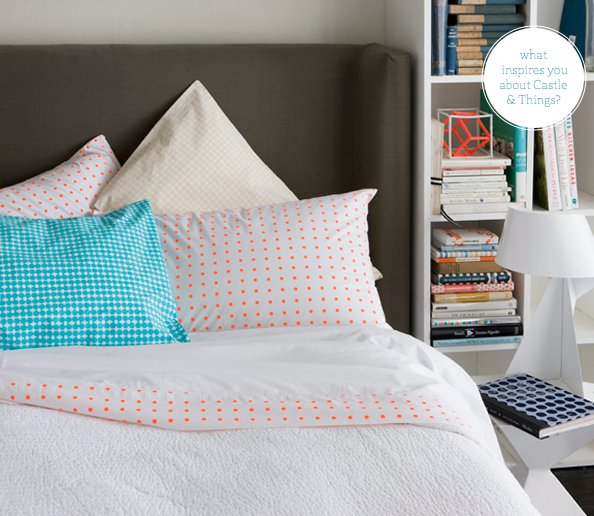 The dots totally speak to me since my decor revolves around dots and circles. And what's not to love about that cheery color palette! This has your name all over it, Mr. Bazaar! I adore it all!! Yessss! I am loving this! This is SO you! those bed linens are ridiculous. i love them all. the grey polka dots have surely won me over. Conrans! How we miss that store here in the D.C. area. Yes, love the sheets and artwork! soo cute, thanks for the inspiration. Is there anything I don't love about Castle and Things! I bought my husband one of Rachel's prints for Christmas, but of course just had to slip a cushion or two in for myself! It's an ongoing obsession really. 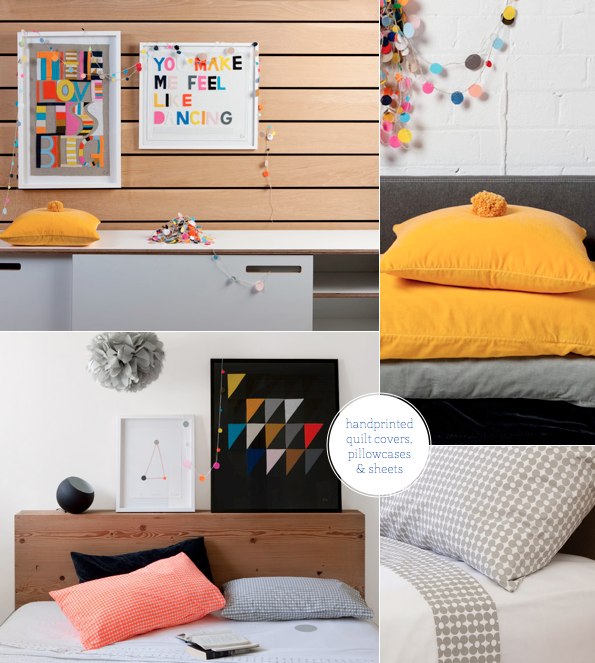 @Vic Bibby - Love the yellow pom pom cushions, too! @rolala, elissa, Jeanee, Candylei, Rachel, Blondedesign - I'm with you on that, they are so cheerful to look at! @fox and fawn, Carla - Thanks for checking them out! 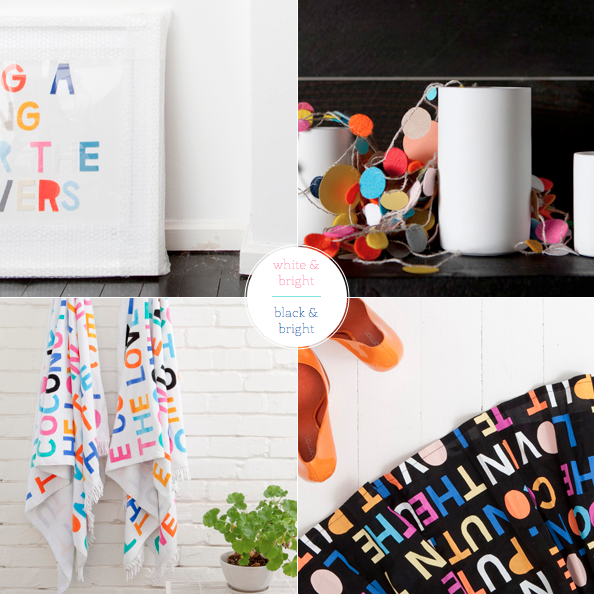 @littletree - The colourful type is majorly flirting with my love for typography, too! @Amanda - Ha, that made me smile. I would have to do the same - all so tempting! I love the vintage chairs with this colour palette!!! ooh all these colours are fabulous! I can always count on getting my color fix here! I seriously love the polka dot sheets (and the roller skates)!! All these images are so beautiful. I love the artwork from the first and second images. The blue and yellow color combination of the pillows is so perfect. 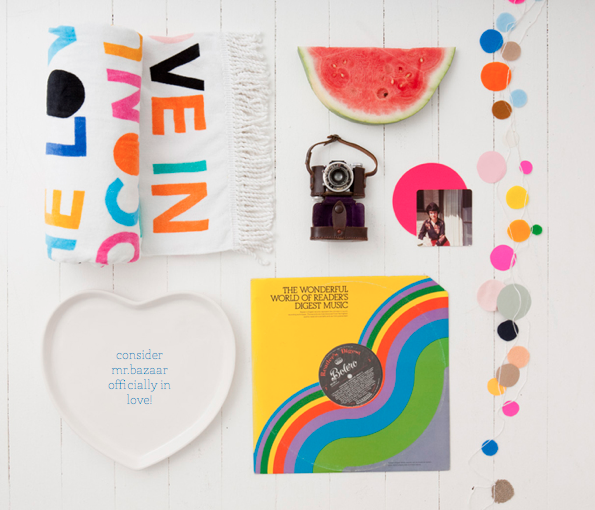 So fun, I would love to do a kids room decked out with all this happiness! lovely will, just lovely. A great way to brighten up january! My sister is over travelling in Auz at the moment, little monkey! OMG this is sooo you! 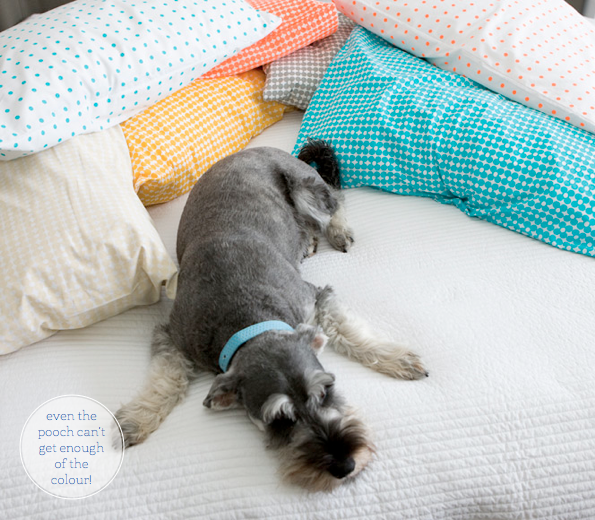 The spotty bedding is definitely my fave and i love the cha cha print! Thanks for the introduction! Everything is so bright and beautiful, which is totally my style. I love the print in the first image. Great find, Will! WOW! So happy you pressed publish on this one. So much fun in this post. I'm also a new follower- stumbled over from Apartment 34 and like what I see here ! 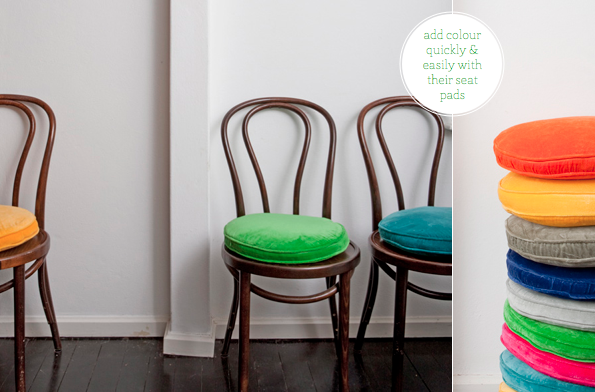 big fan of those seat pads-- could brighten up a kitchen nook in hot minute! I love love love Castle!! One of my favorites! Love the bold colours. Really breathes vibe into the room, and definately going to invest in some of those bright seat cushions. I have white walls and something has been missing for a while, and I think that's it.